Dr. Richardson is a native of Fayetteville, NC, and grew up in Raleigh. He earned his undergraduate and dental degrees from the University of North Carolina at Chapel Hill. Following dental school, Dr. Richardson remained at UNC to complete a three year orthodontic residency and earned a masters degree in orthodontics in 1991. Dr. Richardson is a member of the American Association of Orthodontists, the North Carolina Association of Orthodontists, the Southern Association of Orthodontists, and the Wilmington Tri-County Dental Society. He is a past president of the Wilmington Tri-County Dental Society, the North Carolina Aasociation of Orthodontists, and the UNC Alumni Association. Dr. Richardson is a certified Invisalign® Preferred Provider. Dr. Richardson's practice philosophy is to provide the highest quality of orthodontic care in a friendly, fun environment. We are concerned with your overall health as well as your dental health and will strive to help you maintain both. We take a conservative approach to orthodontic treatment, providing you with treatment options and recommending the best approach to achieve the desired results. In his free time, Dr. Richardson enjoys family time with his wife Ann, and their three daughters, including surfing, stand up paddle boarding, working in the yard, and a little fishing. Education and children are very important to Dr. Richardson. His orthodontic treatment certificates are hot items at school auctions making a significant contribution toward fundraising for the schools. 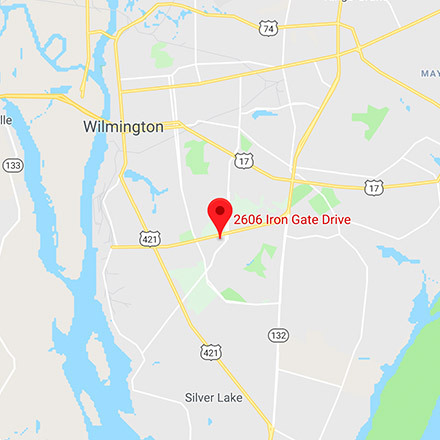 The Wilmington Police and Fire Departments, sporting events, drug and alcohol prevention programs, and Cape Fear Hospice are among the many programs Dr. Richardson supports in our community.